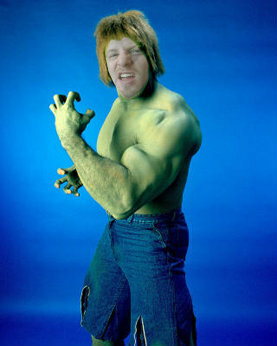 Wouldn’t it be odd if we were not the human race, but the Hulk race? What if a scientist Hulk was blasted with gamma rays in an awful laboratory experiment and whenever he/she became enraged transformed into a weak monster that looks like a human? I assume other Hulks would smash that human monster unmercifully. Well, I guess it wouldn’t be so great for that Hulk and it would make for a terrible television show and comic book series.